We have a fleet of superb Specialized bikes available for hire suitable for both novices and seasoned trail hands. We pride ourselves on maintaining the best fleet of hire bikes in the whole of Surrey. Our hire bikes are of the highest quality and are replaced after just 30 rides. This means your bike will always be in excellent working and cosmetic order. 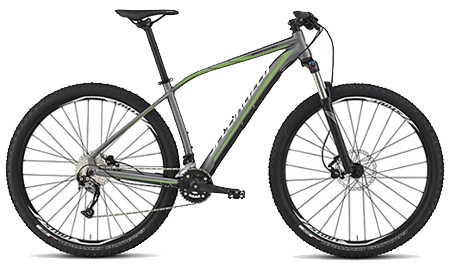 The Rockhopper is a swift singletrack machine equipped with hydraulic disc brakes, 29-inch wheels, and 2x9 drivetrain, allowing you to ride tricky technical trails with confidence and commitment. We	upgrade the standard pedals to DMR V8 pedals to give you a stable platform to ride upon. Shimano PD-M540 SPD clip-in pedals are available to hire for an additional £5.00. 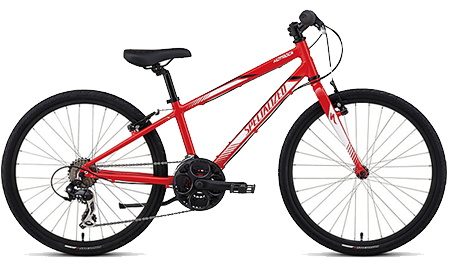 We have small, medium, large and extra-large Rockhopper Comp 29 bikes available to hire. 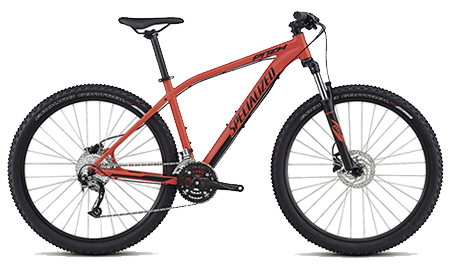 With a Suntour XCM 650b coil sprung fork, powerful Shimano Hydraulic disc brakes, and double-walled 2650b alloy wheels and Shimano drivetrain, the super solid Specialized Pitch Sport is prepared for the trickiest of technical trails. 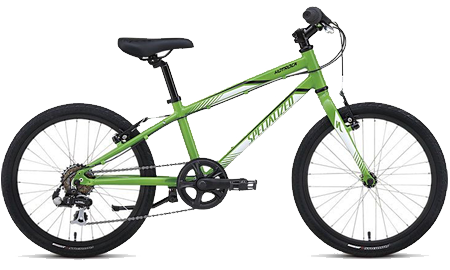 We have extra-small, medium, large and extra-large Pitch Sport 650b bikes available to hire. 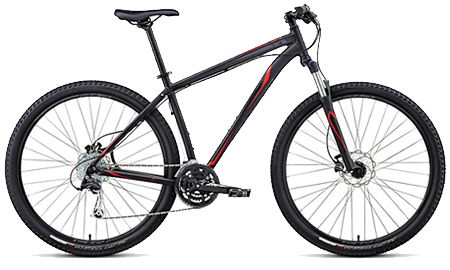 With a smooth SR Suntour 29er fork, powerful Tektro Hydraulic disc brakes, and double-walled 29" alloy wheels*, the Specialized Hardrock Sport is prepared for mountain trails and urban jungles. We have medium and large Hardrock Sport 29 bikes available to hire. We have 20" and 24" wheel Hotrock kids bikes available to hire. If you need to hire additional equipment such helmets, gloves and pedals, please see our equipment hire page.